Shipping company and agent Mail Boxes Etc in Bath ships all sorts of items to anywhere in the world. Needing parcel shipping or packaging services from Bath to beyond? Trust us to deliver you the best solution delivering from Bath to virtually anywhere worldwide. We can help by packing and delivering packages safely and securely. Let shipping company and agent Mail Boxes ETC of Bath get it there for you. We make it easy for you! No Limit Shipping solutions from Bath to anywhere. At shipping company and agent Mail Boxes Etc in Bath we ship all sorts of items to anywhere in the world. From small fragile items to a houseful of furniture, we'll ship it! We work with some of the best shipping and courier companies to offer you choices of service. 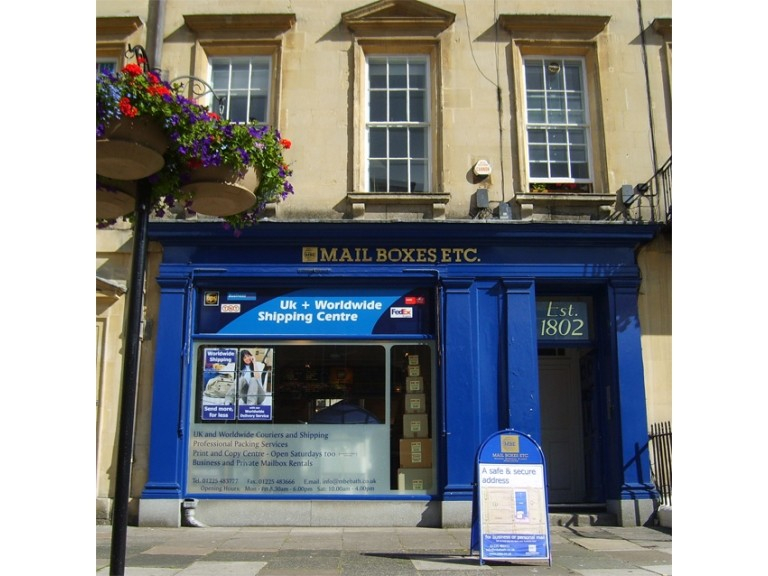 Mail Boxes Etc in Bath will help you prepare any Customs paperwork required for sending parcels and packages to any particular country. Professional Packing Services in Bath. If you want to be sure that your package leaves Bath to arrive safely anywhere worldwide then use the experts for your packing. Packing Boxes, from single wall packing boxes to extra strength packing boxes of different sizes. Tracking your parcel from Bath to destination. For further assurance once your packages have left our Bath shipping company and agent centre, you can use the online tracking facilities of our carrier partners, who will also record proof of delivery. We offer competitive and convenient compensation cover on most packages being shipped or couriered to many destinations. Ask for more details concerning items you are packing and sending. It doesn't matter what size or shape of item, we can manage the pick-up, packaging and delivery of your shipments to and from our Bath Centre. We ship anything anywhere from our Bath Centre. Please mention Bath's premier community website 'The Best of Bath' when contacting Mailboxes Etc regarding; Business Centres, Copying and Duplicating Service, Courier and Messenger Service, Mailboxes, Shipping Companies and Agencies and Printers in the Bath area.